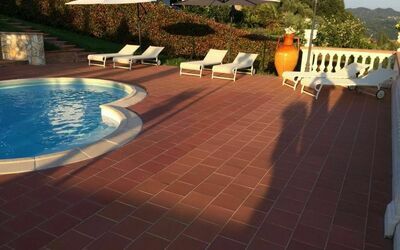 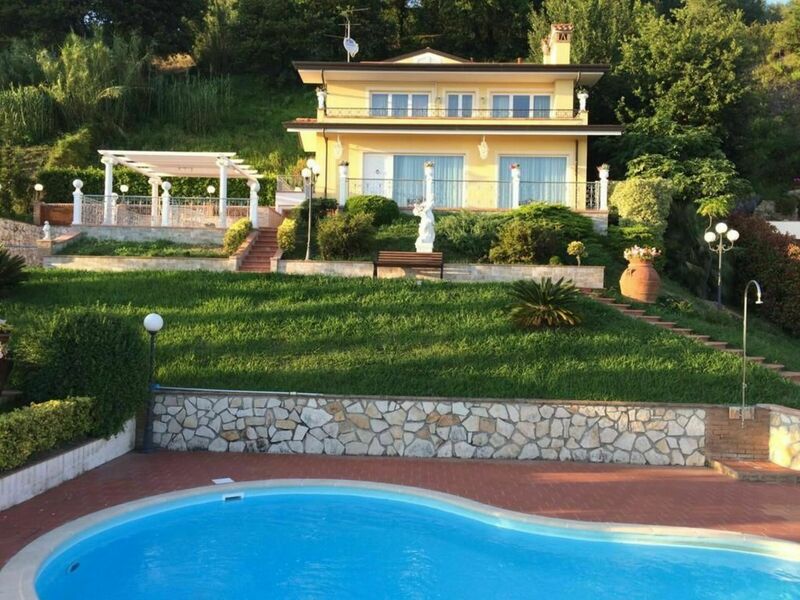 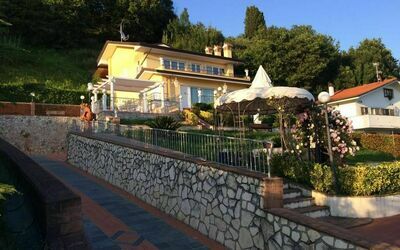 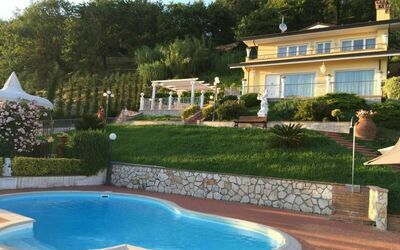 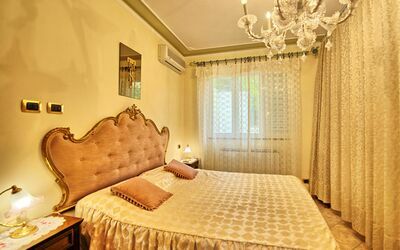 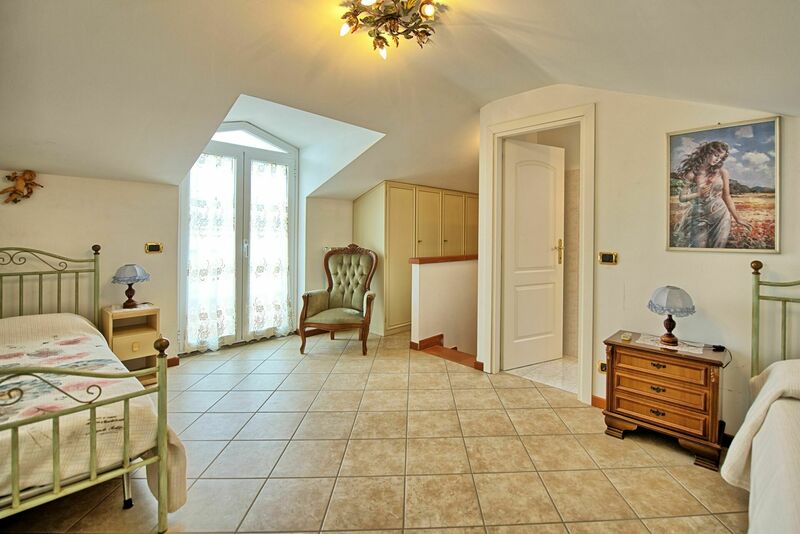 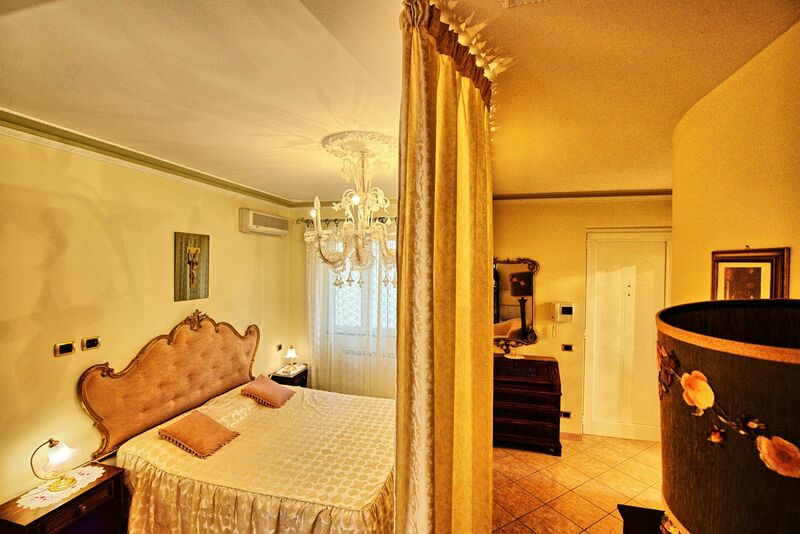 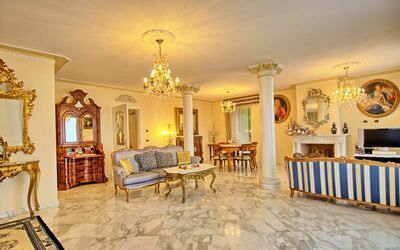 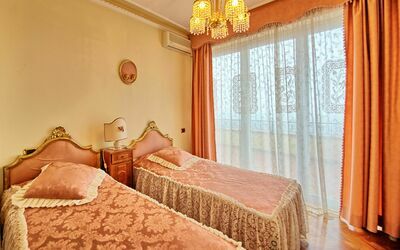 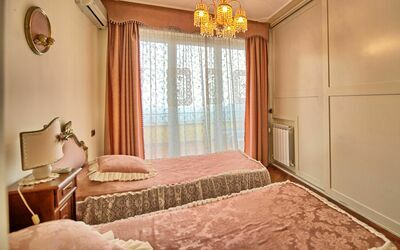 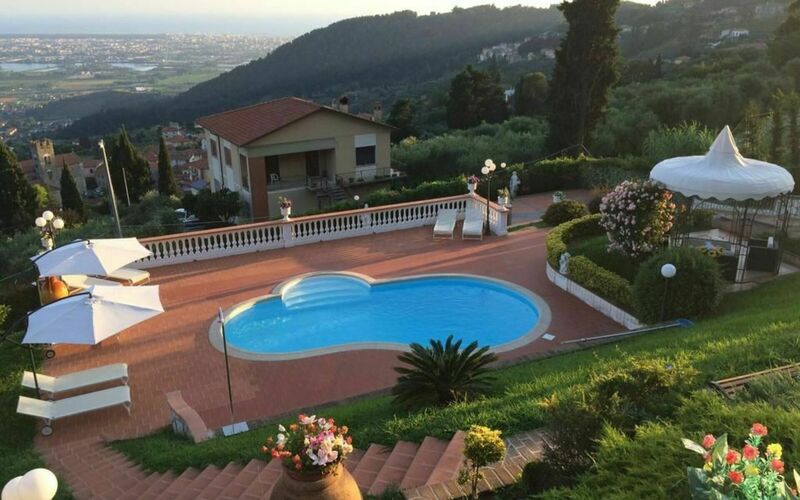 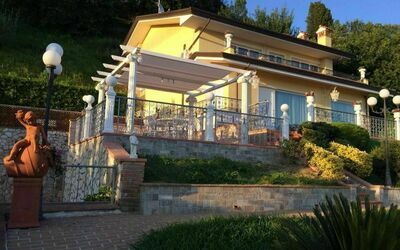 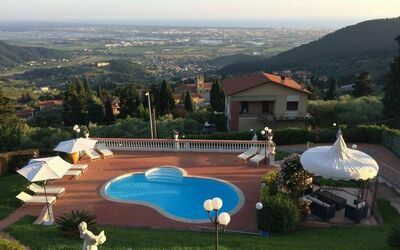 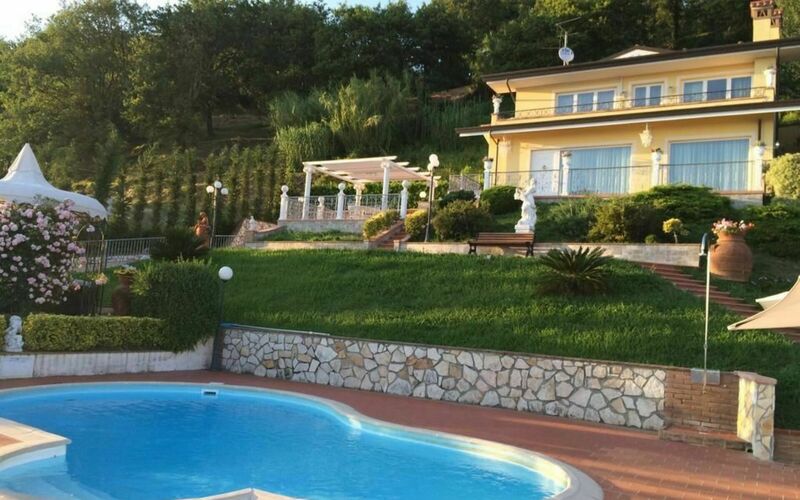 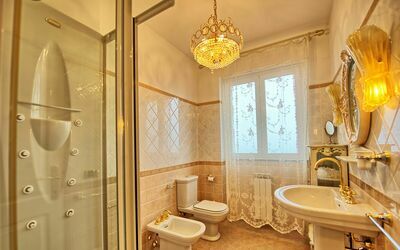 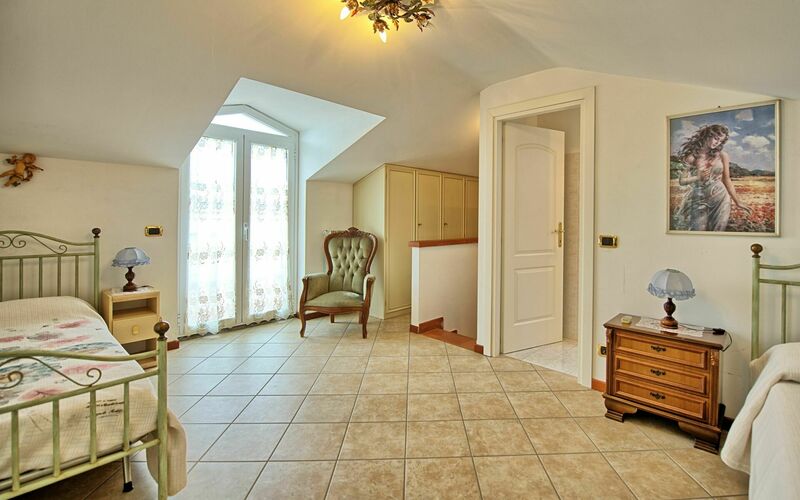 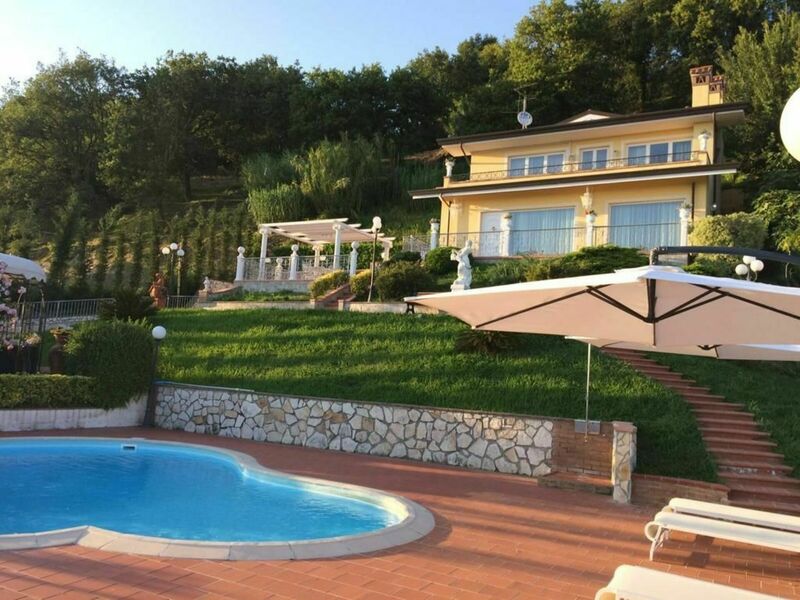 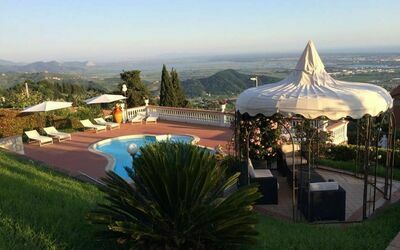 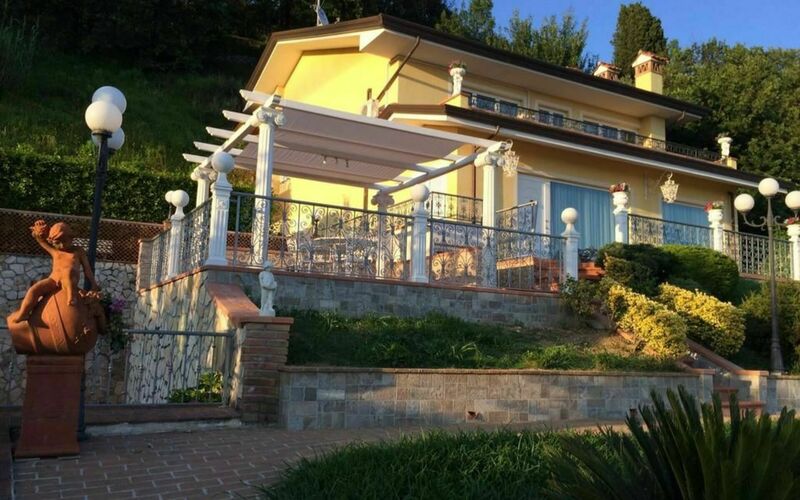 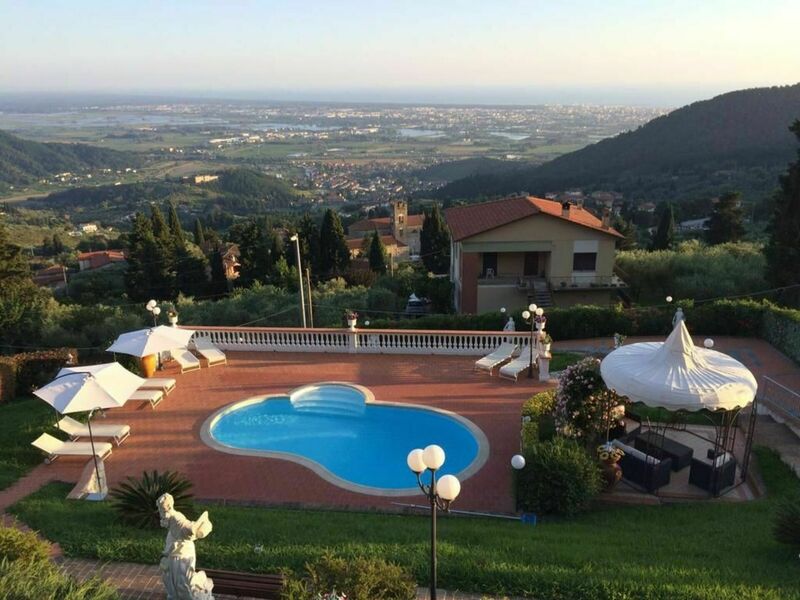 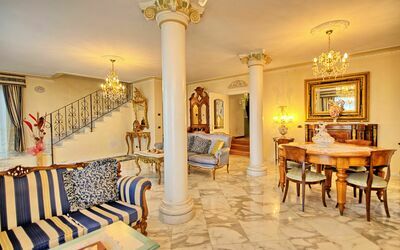 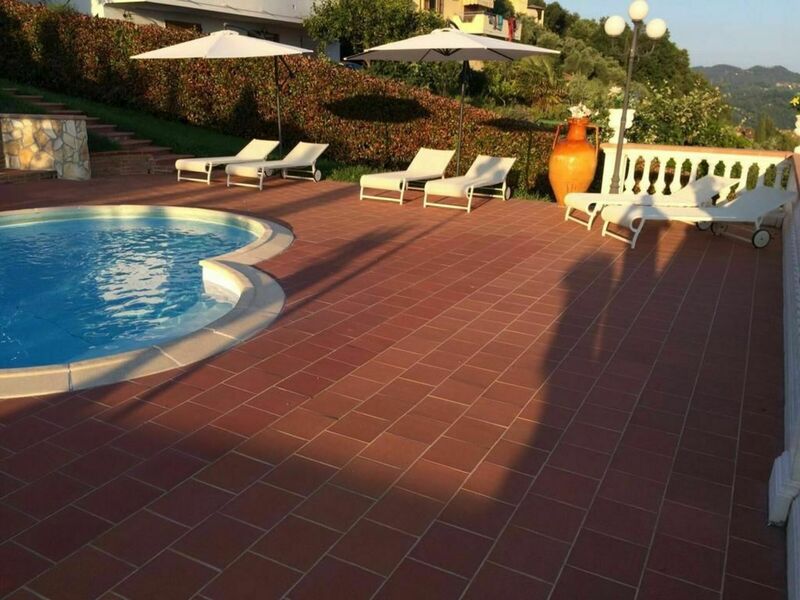 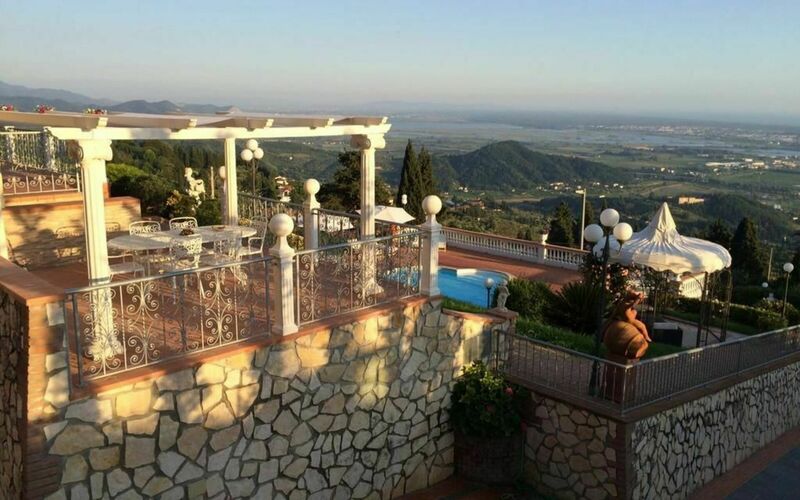 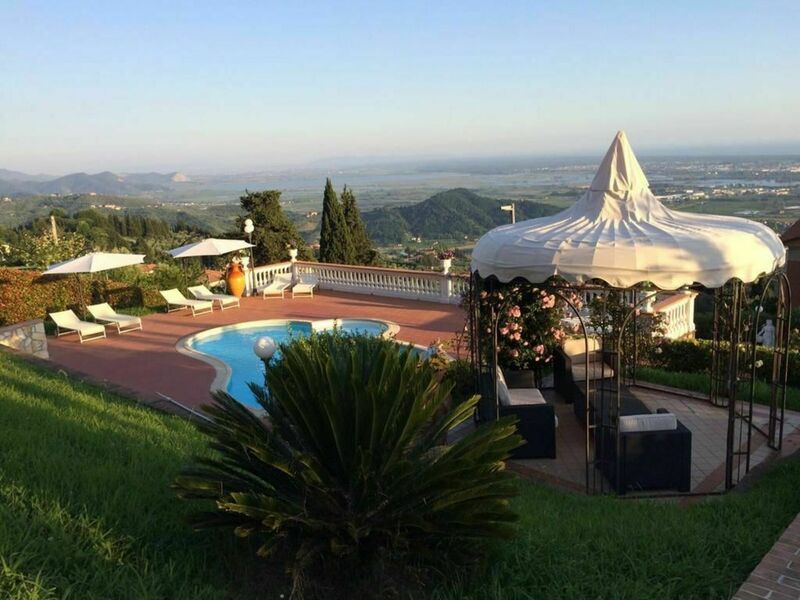 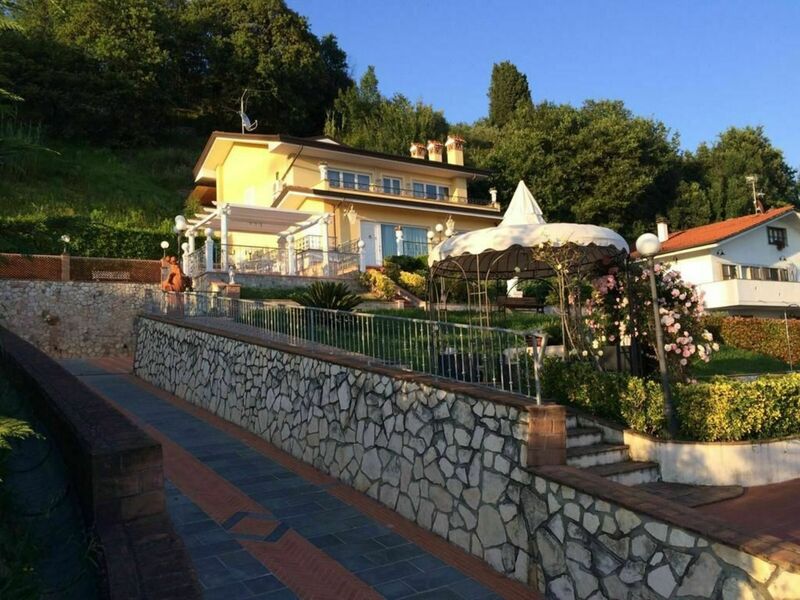 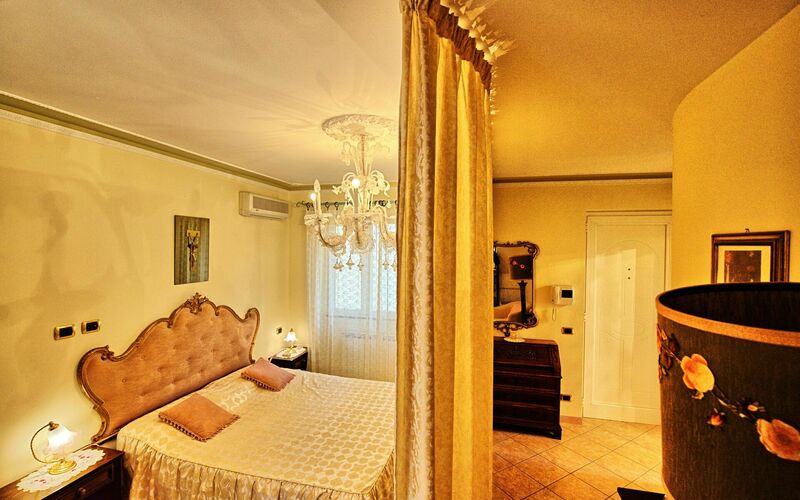 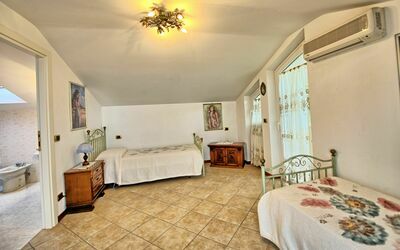 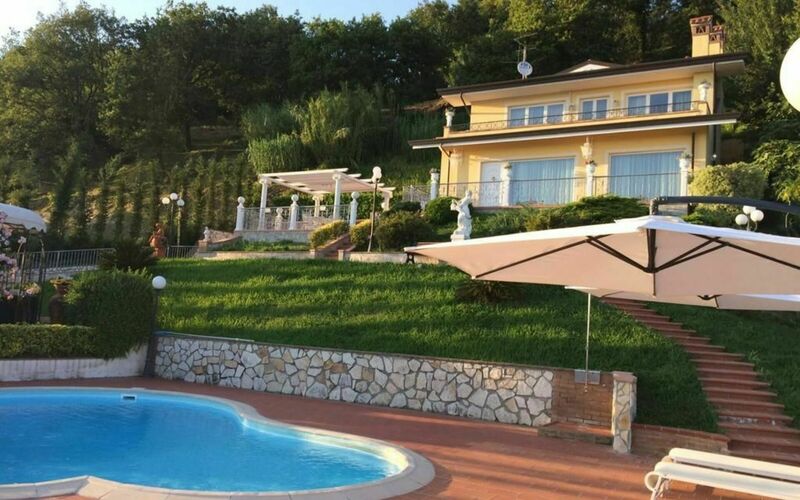 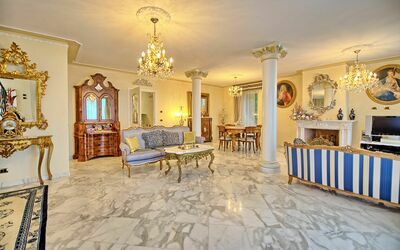 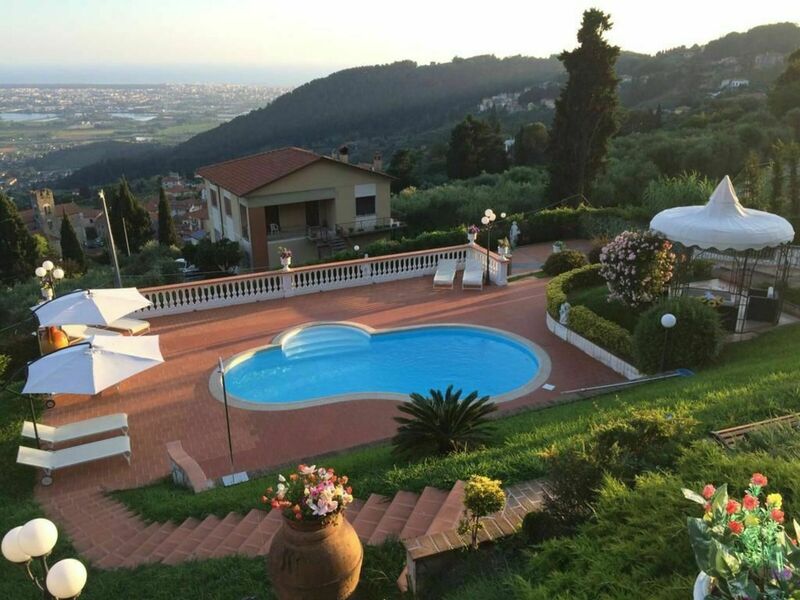 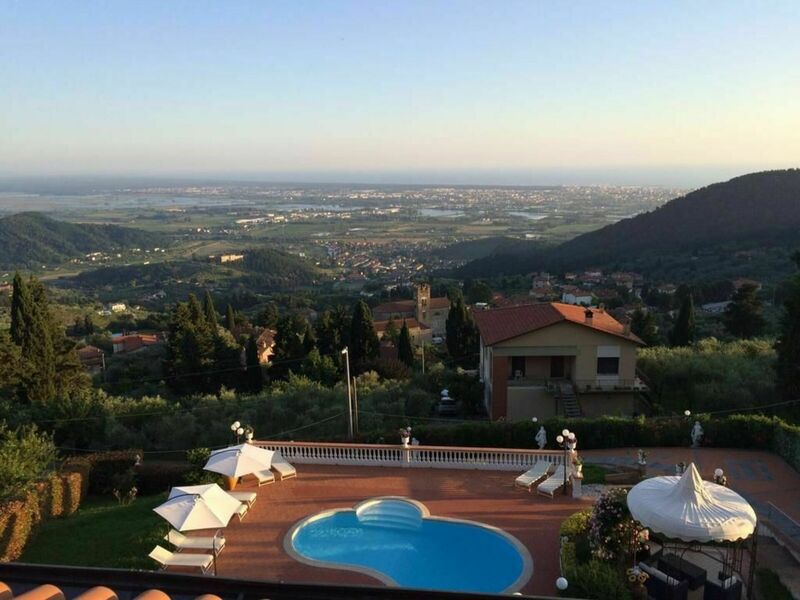 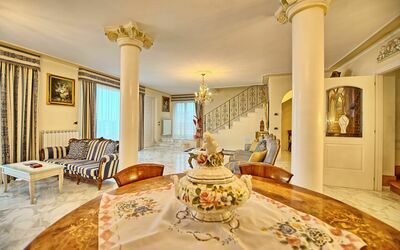 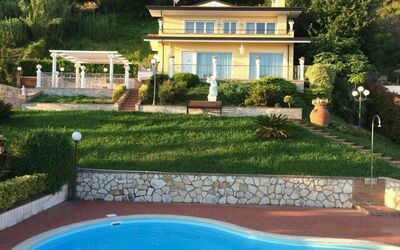 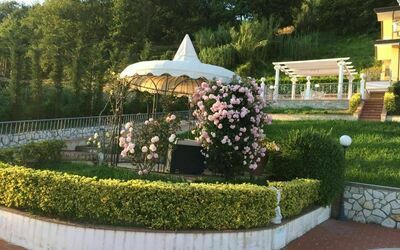 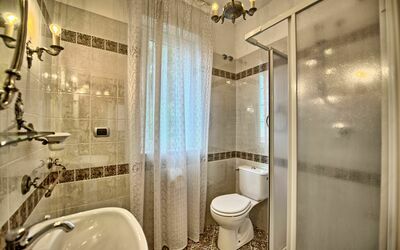 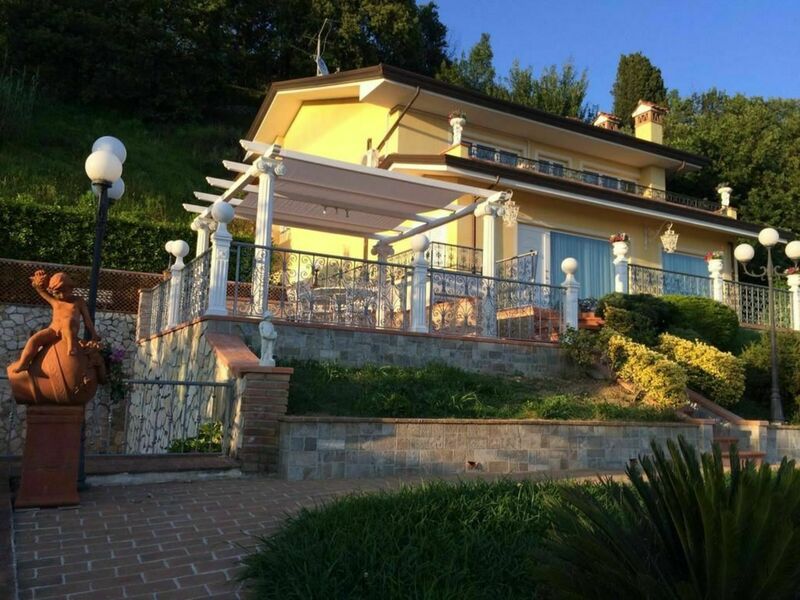 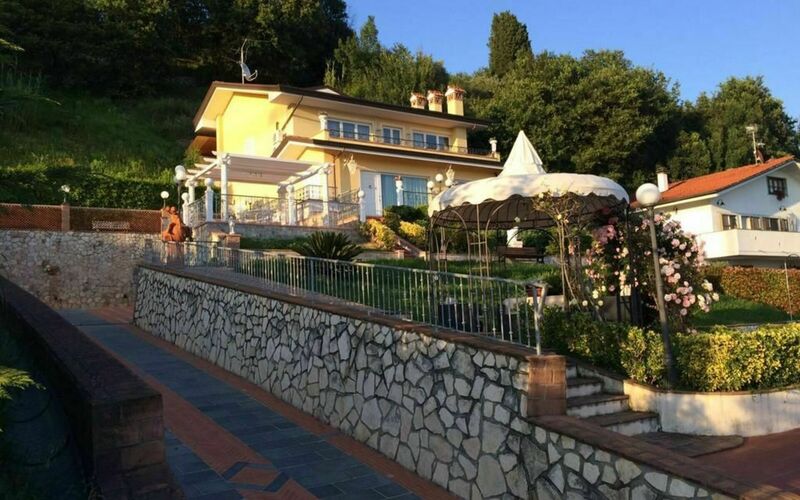 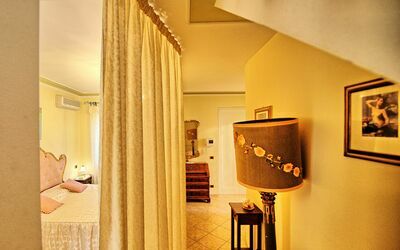 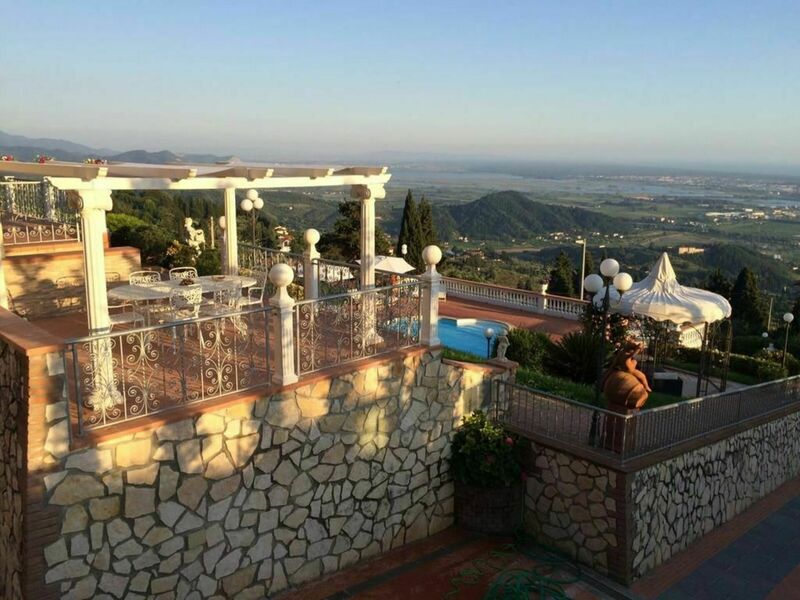 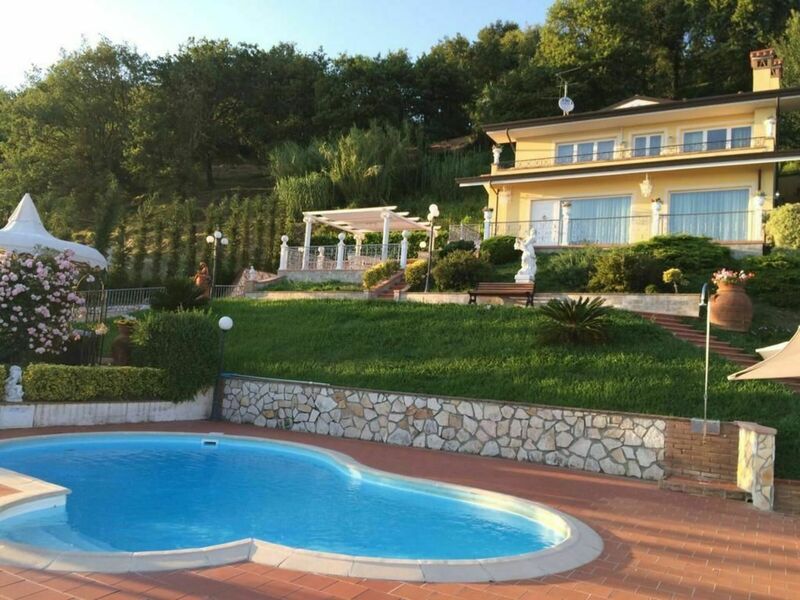 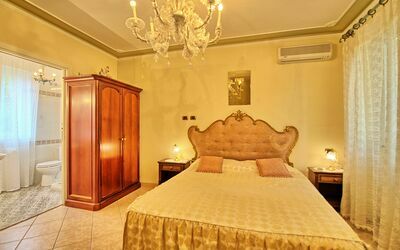 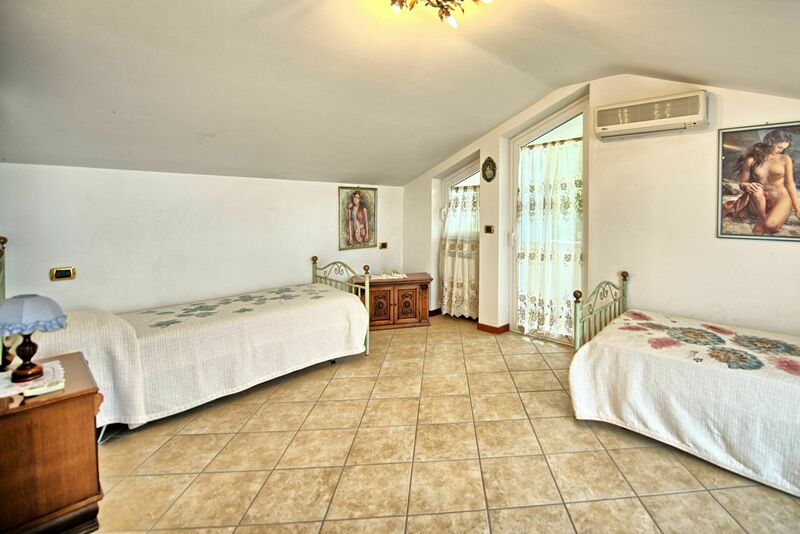 Beautiful villa with swimming pool located in Versilia roughly 10 km from Viareggio, a much-loved bathing area in Tuscany. 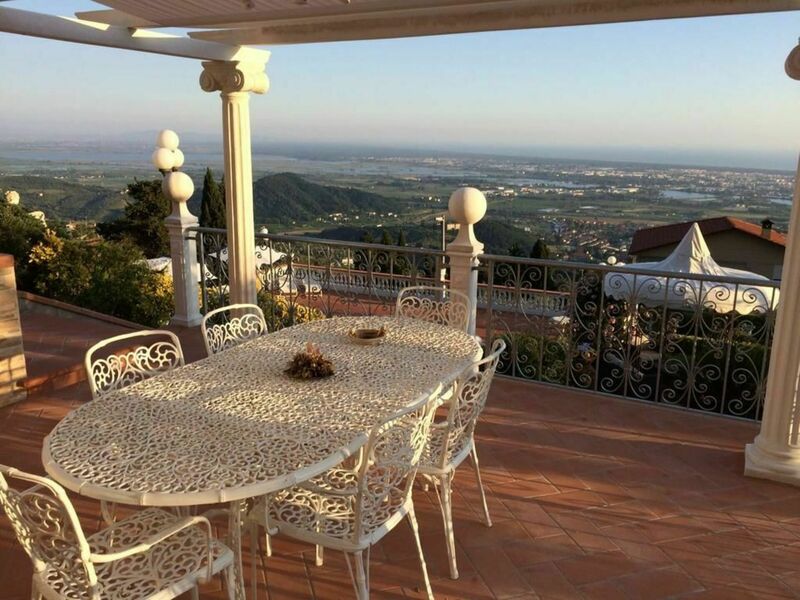 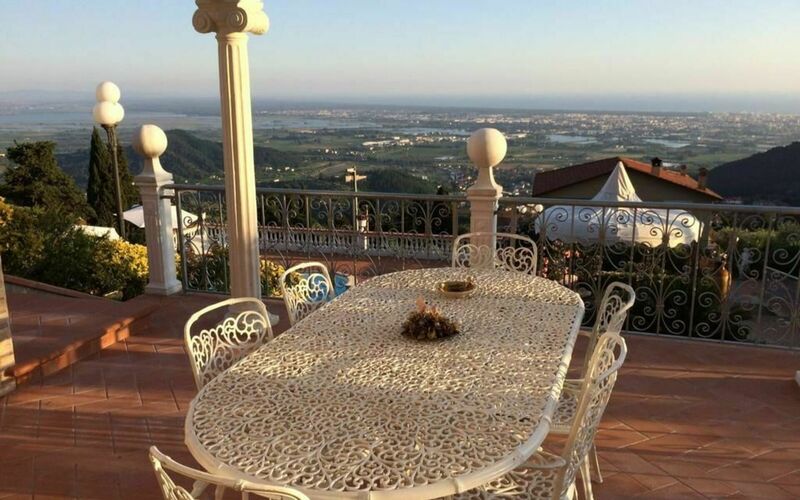 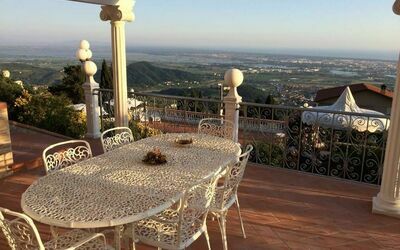 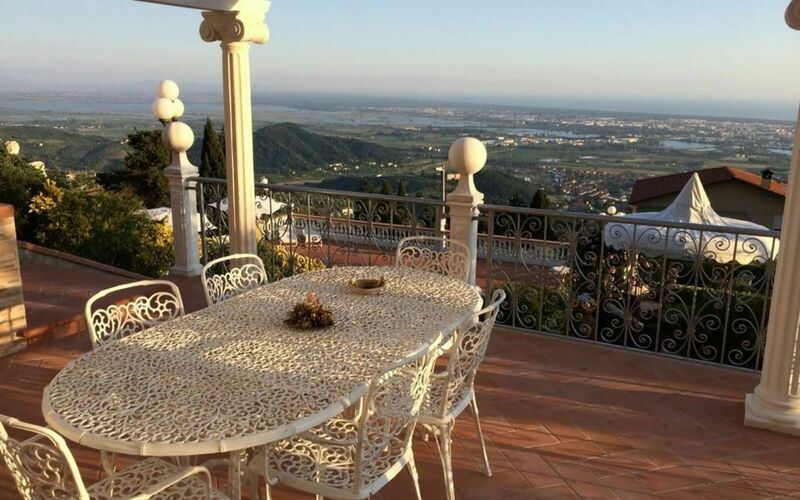 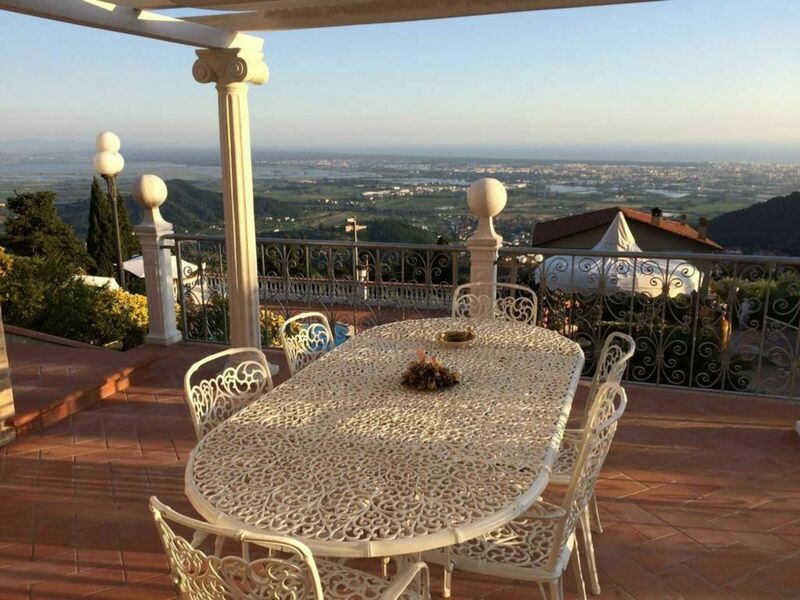 The house is in a location on a hill and it boasts a beautiful view over the valley and to the sea. 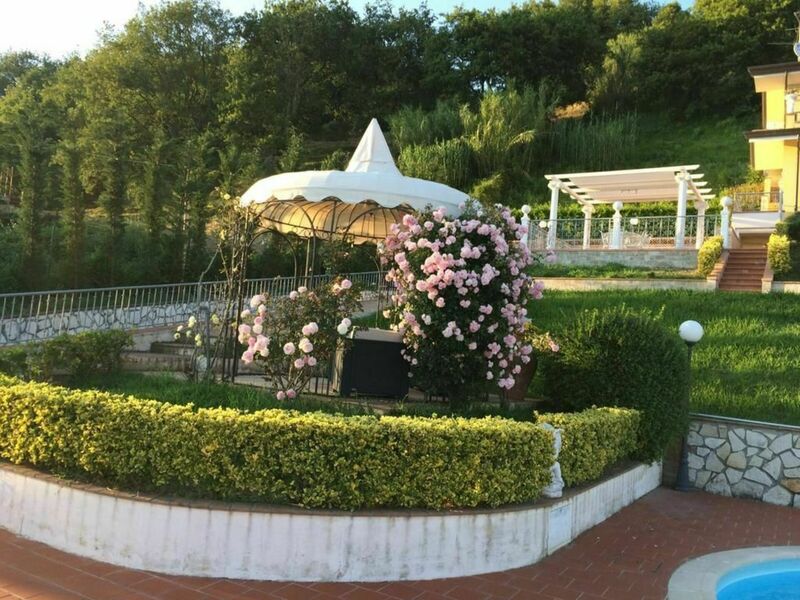 In the small town of Coranico (800m from the house), there is a great restaurant, a pharmacy and a mini supermarket. A beautiful swimming pool awaits a level below the house, reserved for the exclusive use of guests. 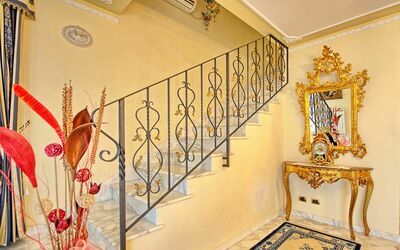 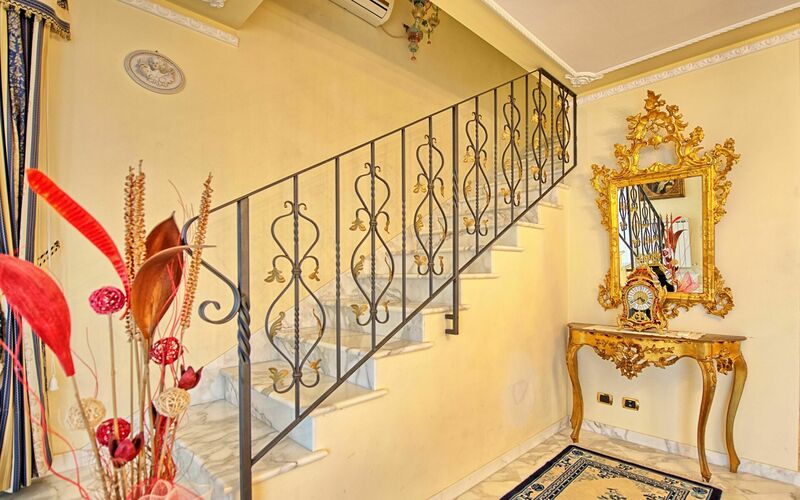 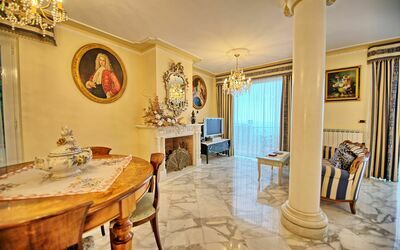 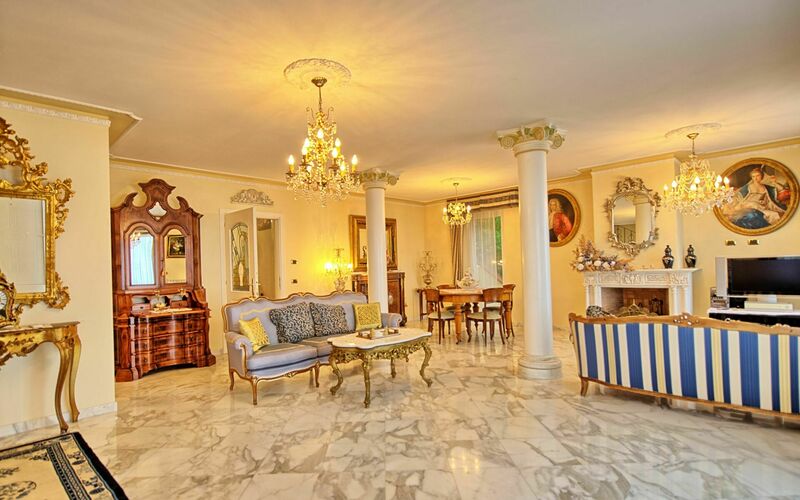 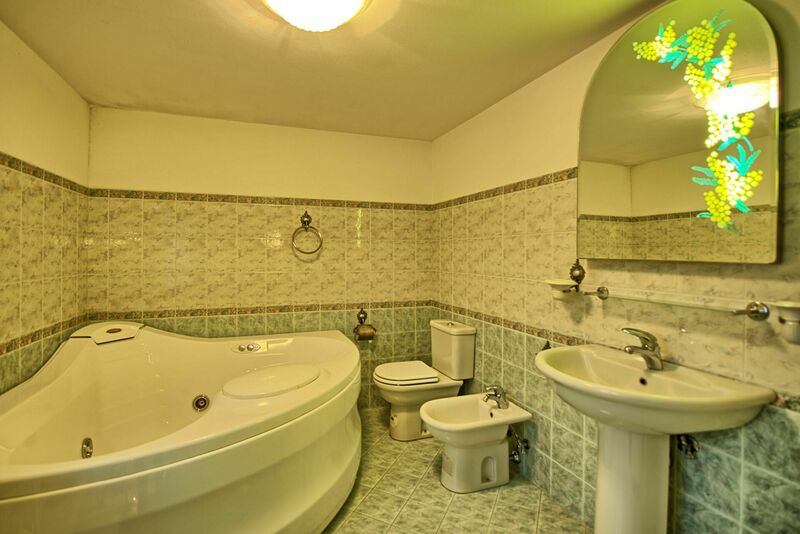 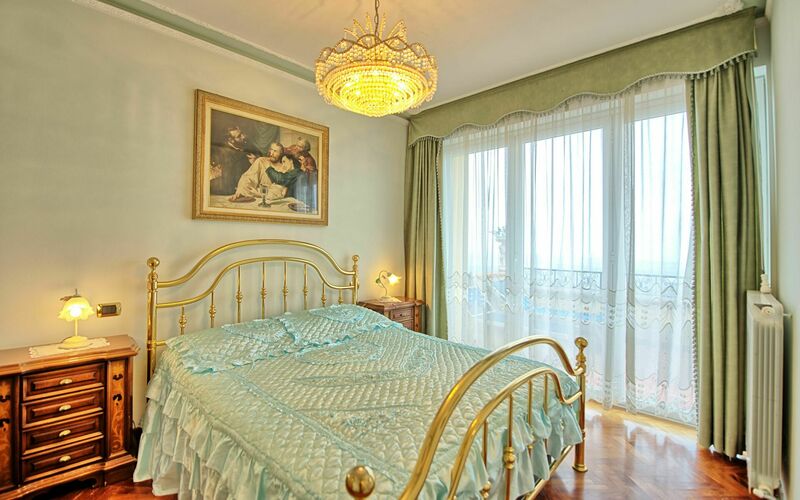 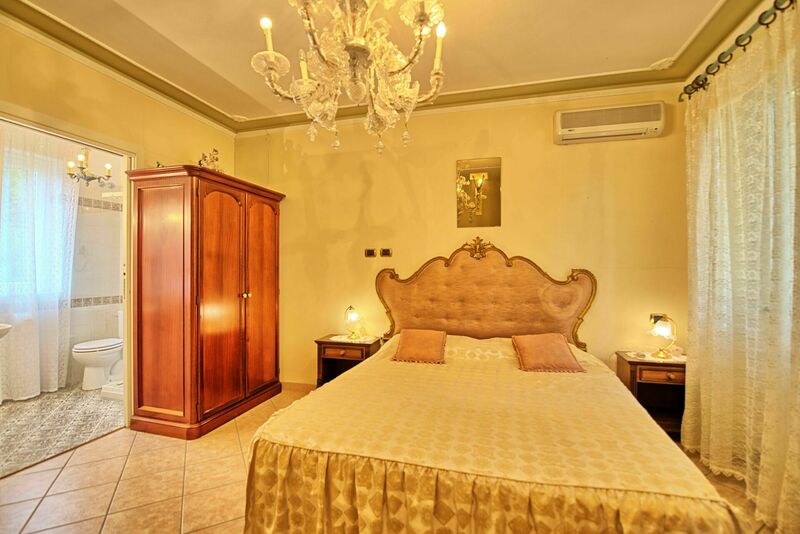 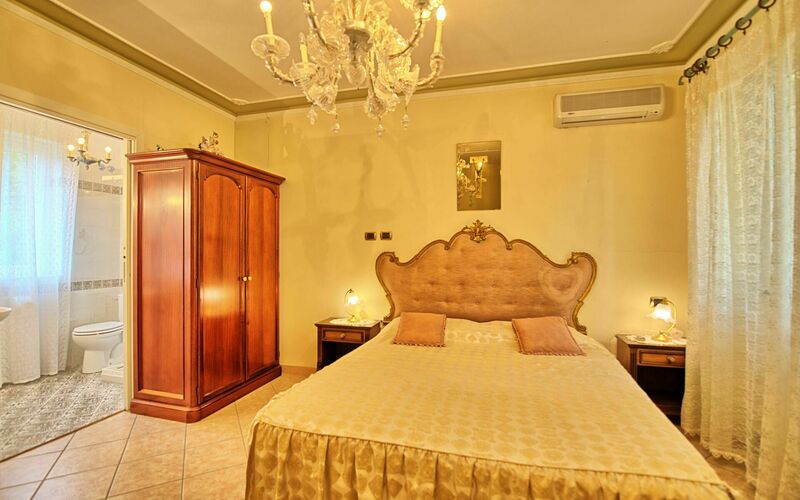 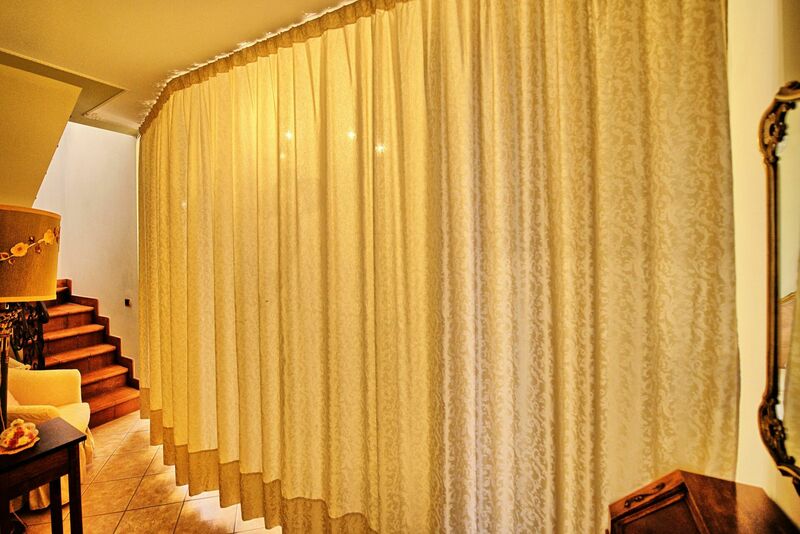 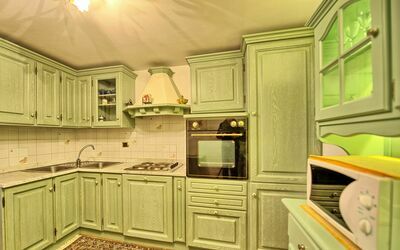 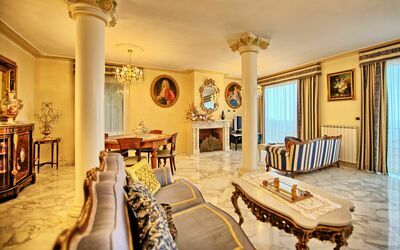 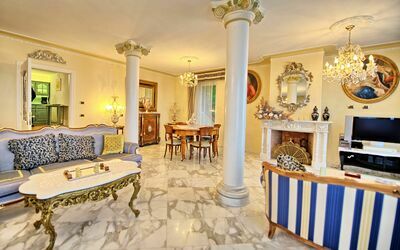 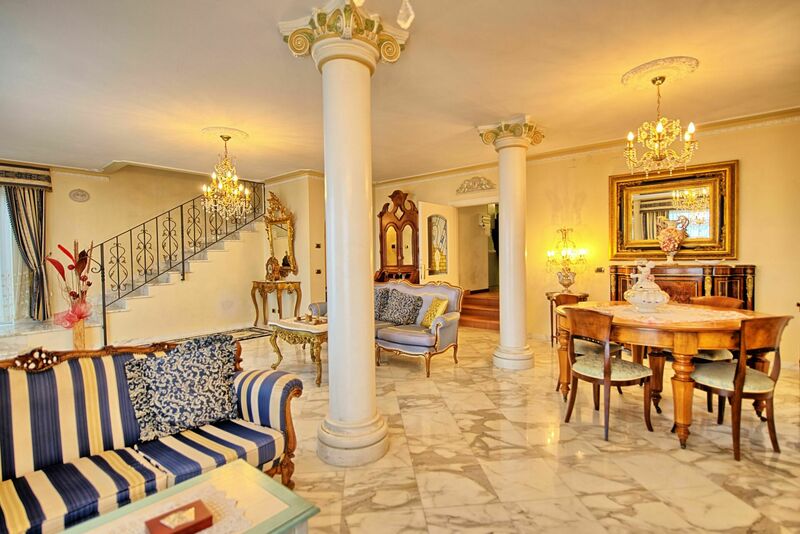 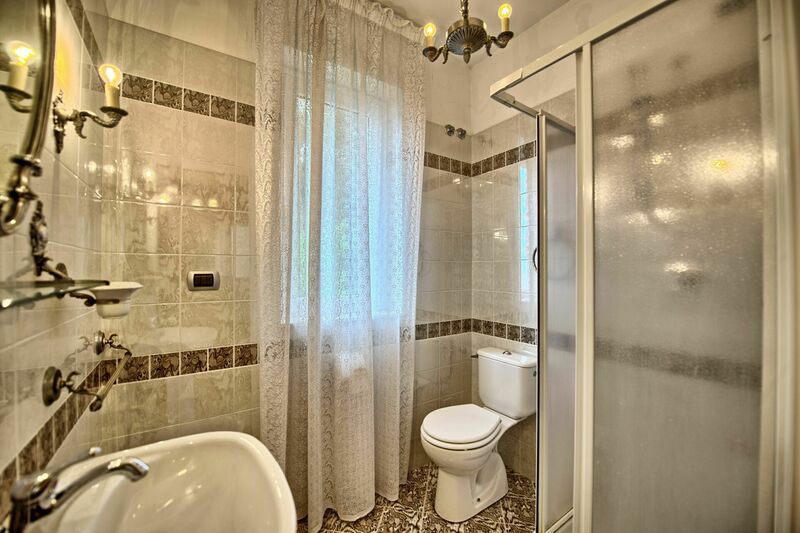 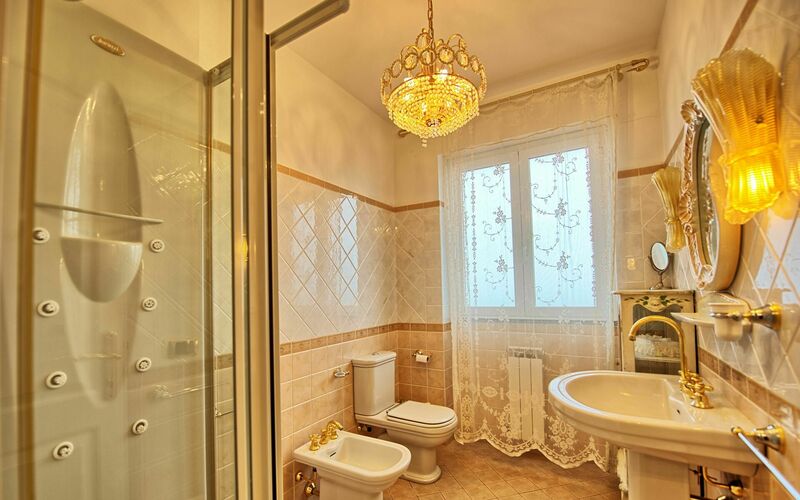 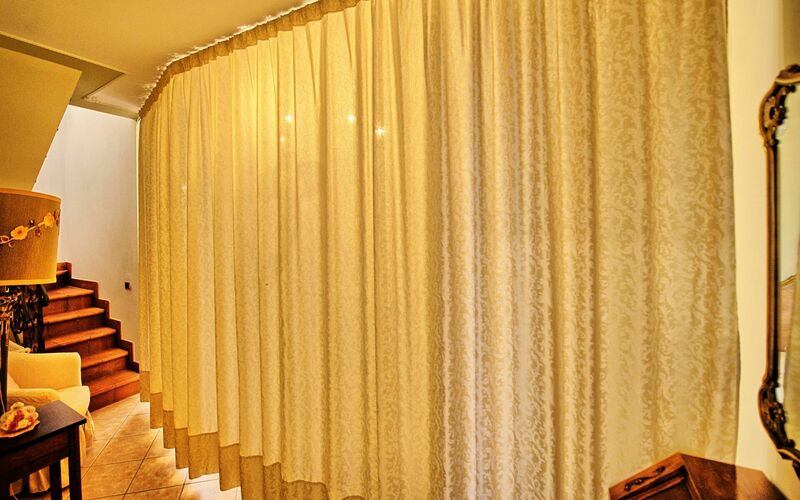 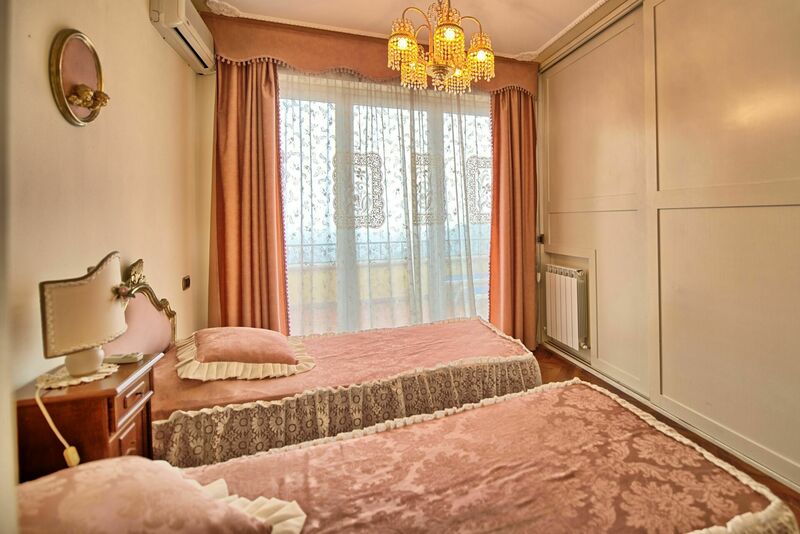 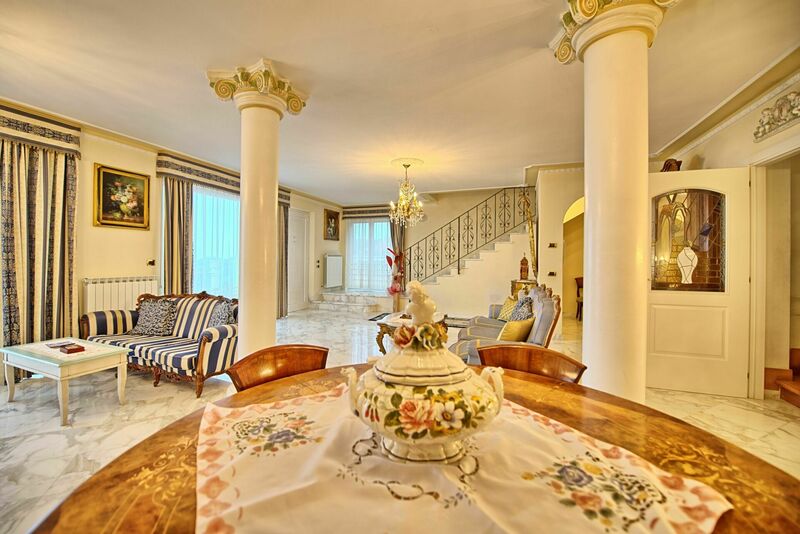 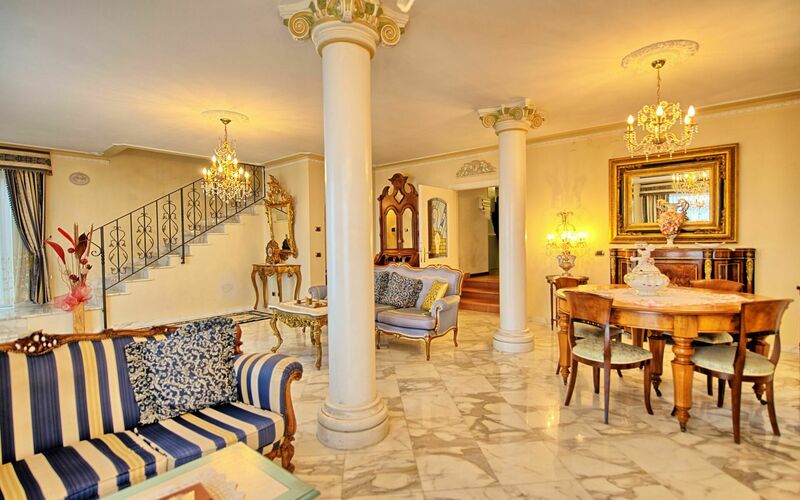 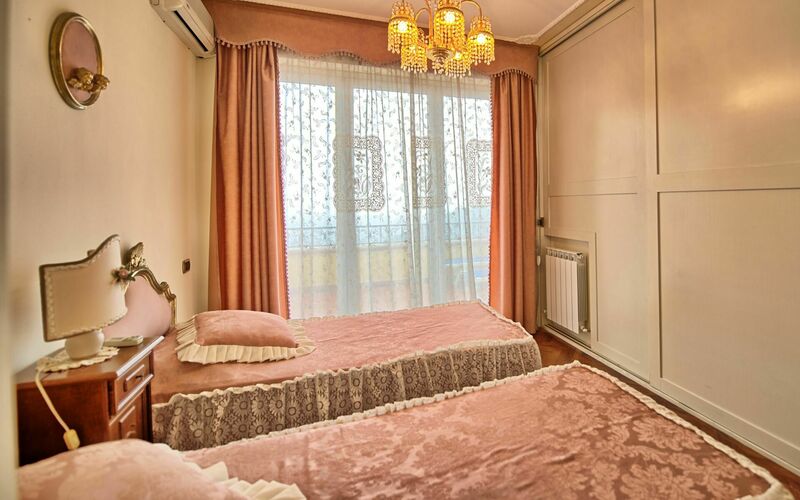 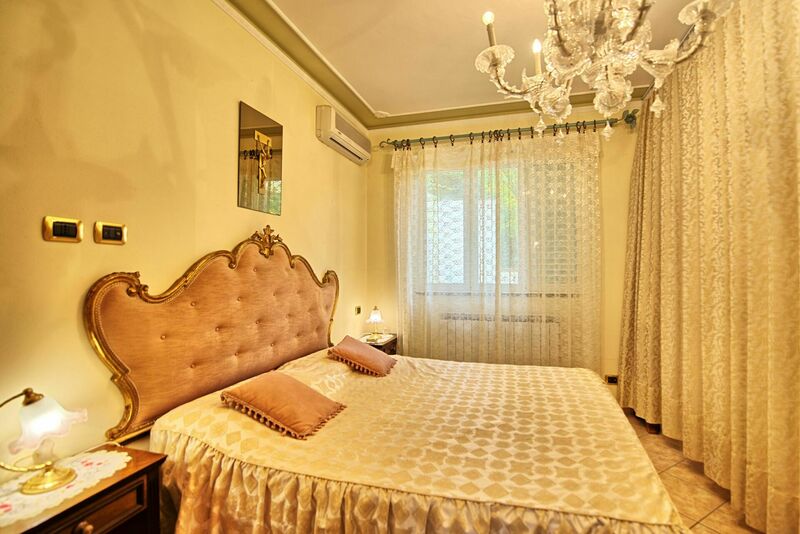 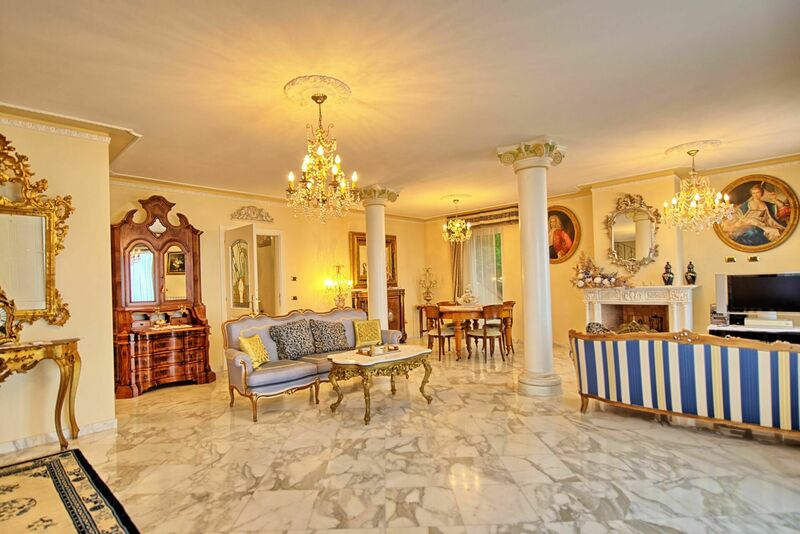 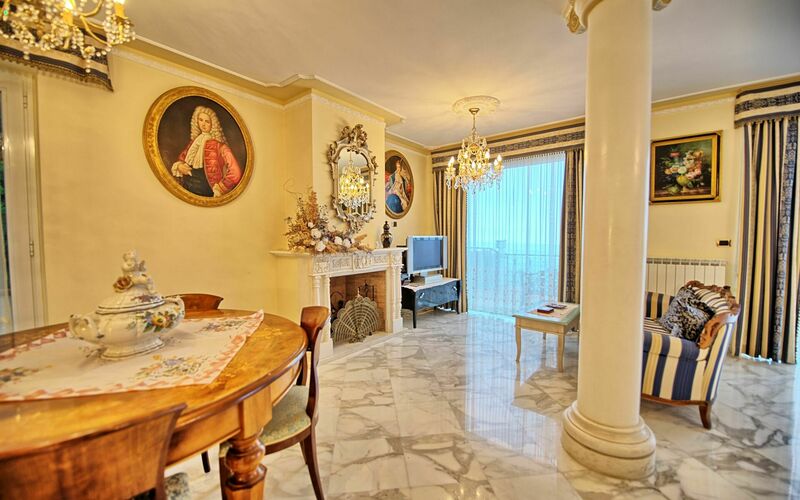 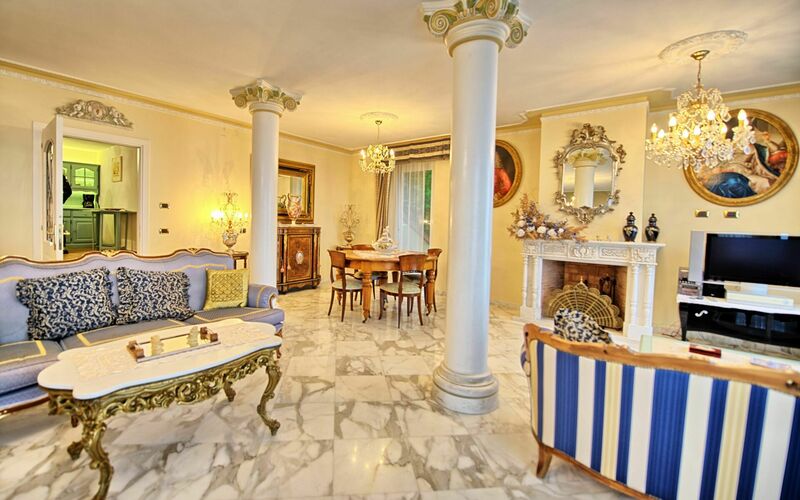 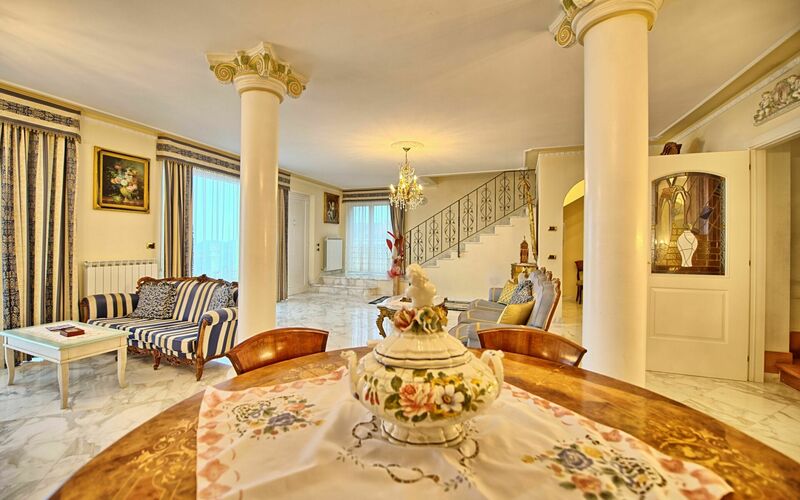 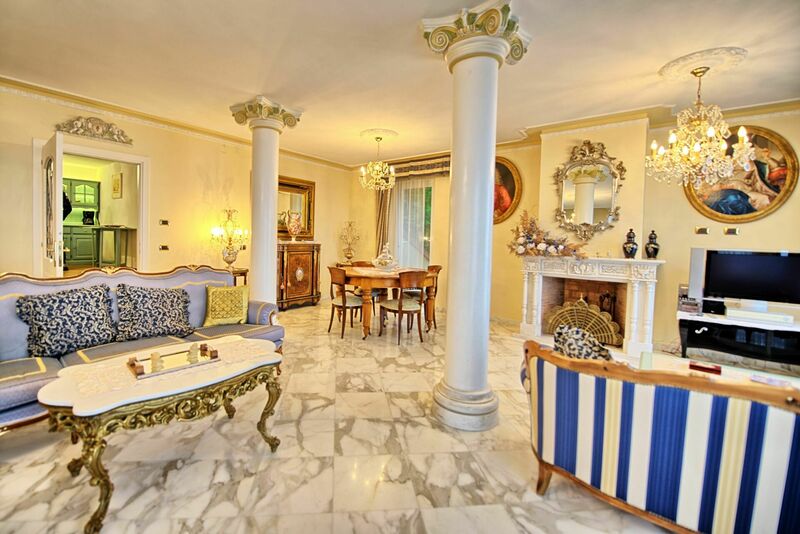 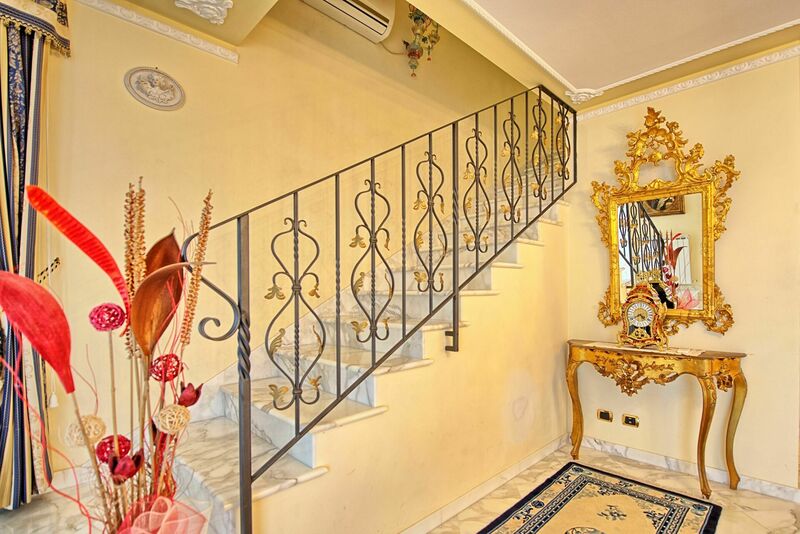 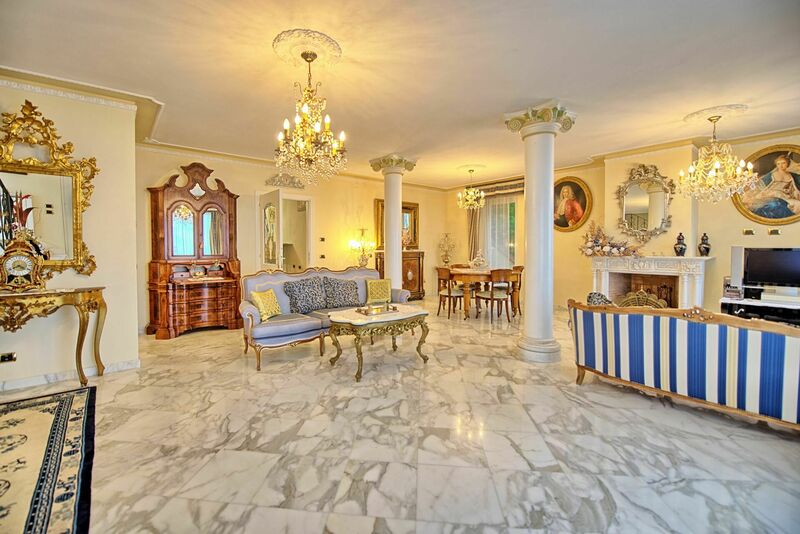 Inside the house is well furnished and has splendid marble flooring. 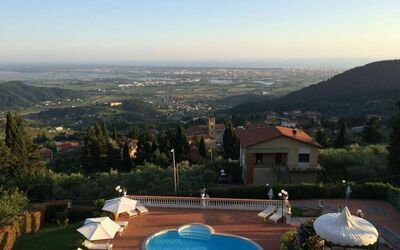 The area of Versilia lies roughly 10 km away and offers great restaurants, well-known bathing areas and a great nightlife. 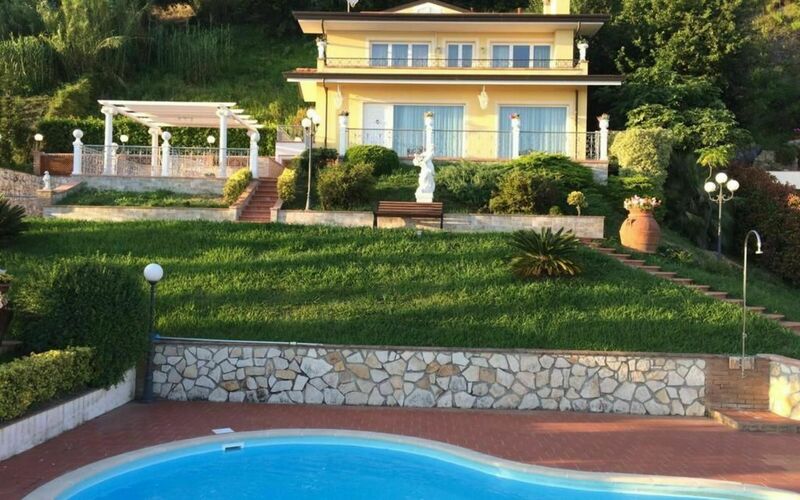 Available to guests: completely fenced garden with furnished areas for eating outdoors: private swimming pool (8.5 x 4.5 m minimum depth 1.2 m – maximum depth 2 m), outdoor shower (cold water) near the swimming pool, barbecue, laundry room with washing machine. 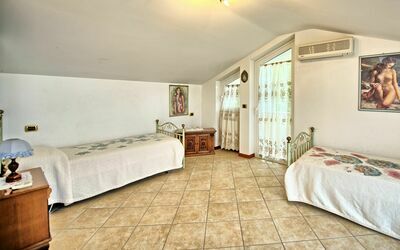 The house has Wi-Fi internet connection and air-conditioning in all of the bedrooms and the living area. 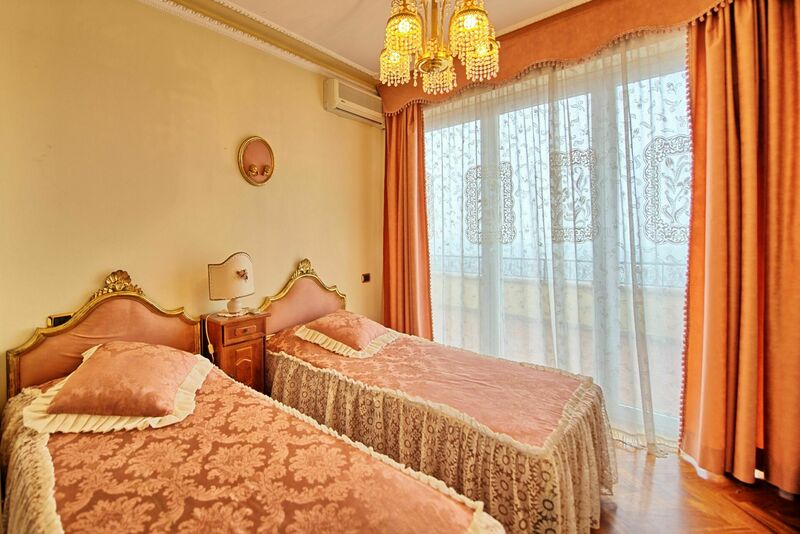 Distances: Corsanico (mini supermarket, pharmacy, restaurant, pizzeria) - 800 meters, Viareggio - 10 km, Forte dei Marmi - 20 km, Lucca and Pisa roughly 30 km, Montecatini Terme (famous thermal spas) - 60 km, Pistoia - 70 km, the Cinque Terre are roughly 90 km, Florence - 110 km. 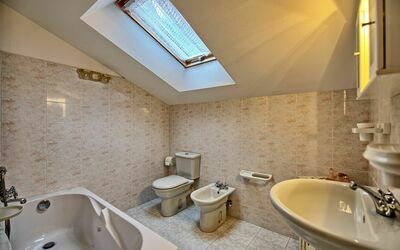 3 steps higher (from the living area) bathroom with hydro-massage bath. 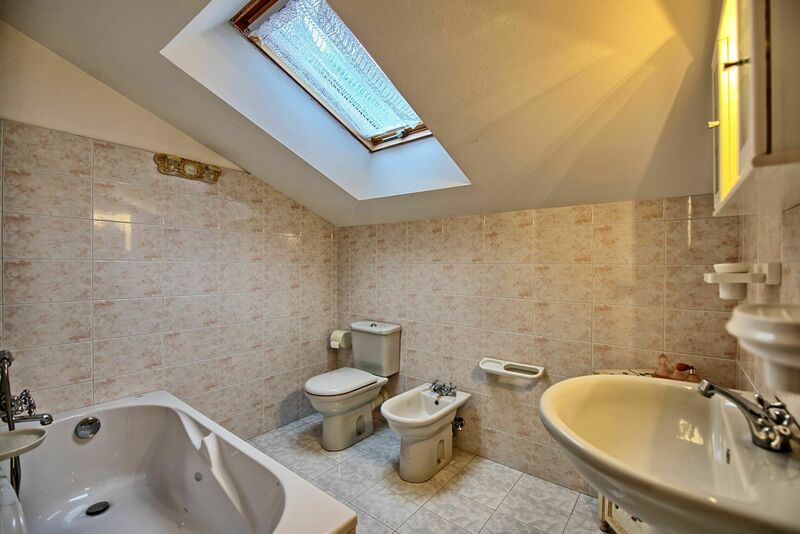 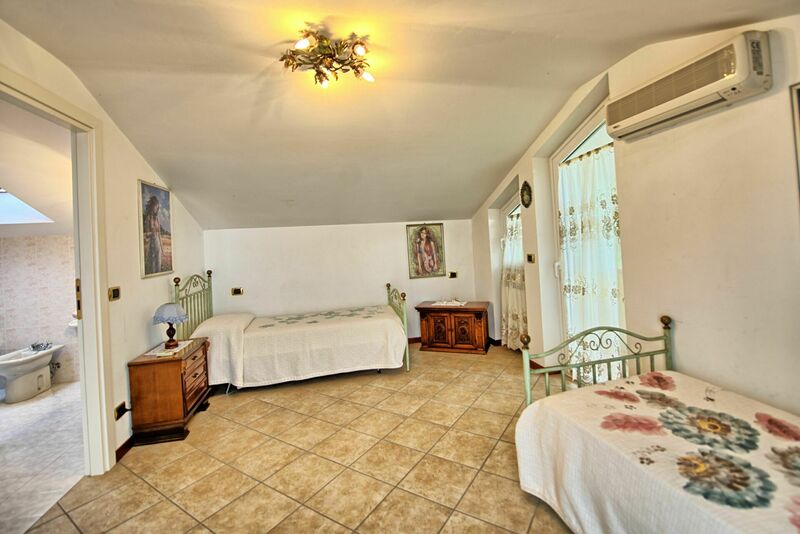 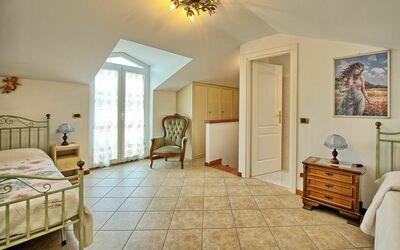 Third floor: twin bedroom with private bathroom with shower. This bedroom access a private terrace with a fantastic view.